Reduce Credit Card Debt or Spend Your Way Out of Recession? Early in October, the office of British Prime Minister David Cameron released a draft of a speech he planned to make. It included the sentence: "The only way out of a debt crisis is to deal with your debts. 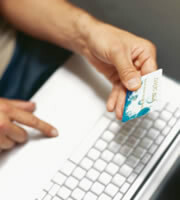 That means households - all of us - paying off the credit card and store card bills." There was immediate and widespread outrage (and not just over the redundant article), which led to that sentence being amended. Some of the furor was strictly political. Cameron is a multi-millionaire from a highly privileged background, and his opponents suggested that the remark showed he was out of touch with a financially challenged electorate. But others were appalled by the likely impact of a sudden reduction in credit card debt on the British economy. Nick Pearce, director of the Institute for Public Policy Research, an influential UK think tank, told The Guardian newspaper that "if all households paid off their credit card debts, consumer spending in one quarter would be reduced by 25 percent and GDP by 15 percent." Especially in the United States, consumer spending is essential: It drives about 70 percent of economic activity - more than for most European nations and well above the rates in developing countries such as China. On a more practical level, there effectively seems to be zero chance of any mass paying down of card debt. Indeed, when FICO, the company that devised America's most widely used credit scoring system, polled risk managers in banks during the third quarter of 2011, fully 49.8 percent forecasted that the average credit card balance would rise over the following six months. Some 39.7 percent expected credit card delinquencies to increase too in the same period. That's likely to surprise few, given that millions are still struggling (and sometimes failing) to make ends meet. In a report published on Oct. 10, Sentier Research found that real median household income fell more during the recovery than during the recession. By June 2011 it had plummeted overall by 9.8 percent to $49,909, down from $55,309 in December 2007. The U.S. economy barely dodges a bullet, and avoids a back-to-back recession. But that is cold comfort to the millions of unemployed and under-employed workers caught up in a still-wounded labor market. It is also only a faint ray of hope for ailing housing markets across the country. This is an expanding economy, but it is not yet a recovering economy for millions of U.S. households. Some might think Dye brave in saying that the economy has dodged a bullet; plenty of others still believe that a double-dip recession remains a real possibility. And you can see why. On Oct. 5, Discover unveiled the latest findings of its ongoing U.S. Spending Monitor survey. These found that, in September, a record number of respondents (57 percent) perceived their personal finances as getting worse, while 28 percent, another record high, described their personal financial situation as "poor." Nearly half (44 percent) said they expected to have no money left over once they'd settled September's monthly bills, and more than half reported that they were planning to cut back that month on home improvements, major purchases and going out. Yet another record was broken when a whopping 45 percent told researchers they had no plans to save or invest that month. If consumer confidence continues to dwindle in this way, the possibility of our double-dipping our collective toes in the icy waters of recession looks worrying. If you're among the lucky ones who still have spare cash, you may well think that you should pay down some or all of your card debt while you still can. It may not help the economy, but few would blame you if you thought your family should come first. Consider signing up for a balance transfer credit card. At least during the 0-percent APR introductory period (anything up to 21 months), every cent you pay on one of these will reduce your balance, and none should be taken by credit card companies in interest. Prioritize your accounts in order of the credit card interest rates you pay. Start with the highest, and leave your low interest credit cards until last. That way, you eliminate your most expensive borrowing first. At the end of the process, you might still not be as rich as Prime Minister Cameron, but you could be better able to weather any future financial storms than his country is. 0 Responses to "Why paying off all your debt is a bad idea"